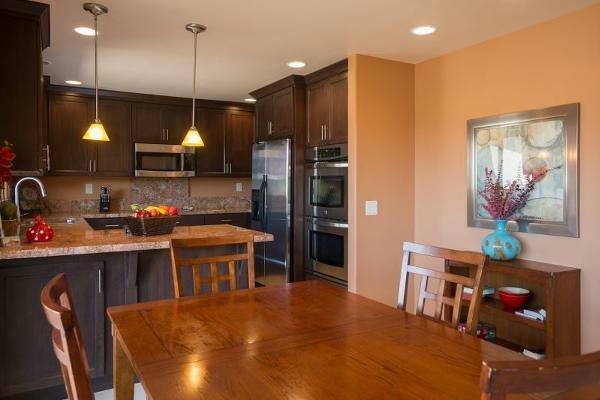 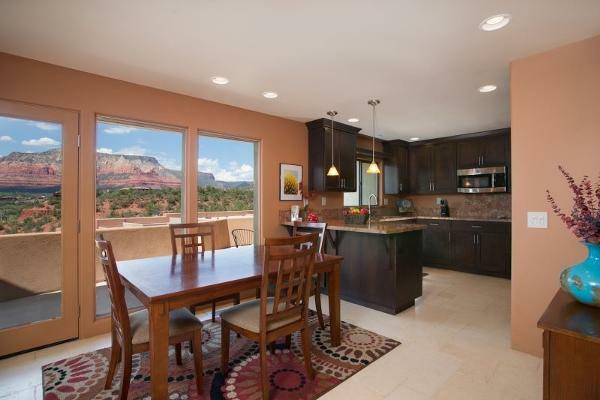 The warmth and vibrancy of the Sedona sunsets are reflected in the art and furnishings of this lovely condo. 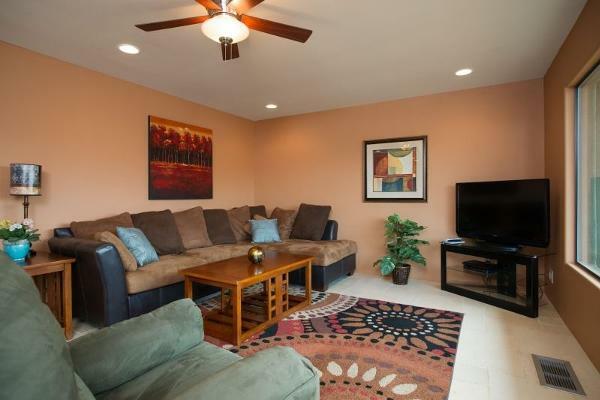 Browns and reds, with splashes of blue, embellish the living areas. 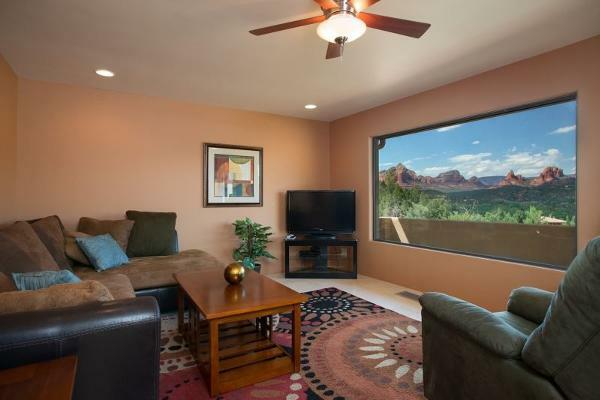 Located on the upper floor, the views are premium. 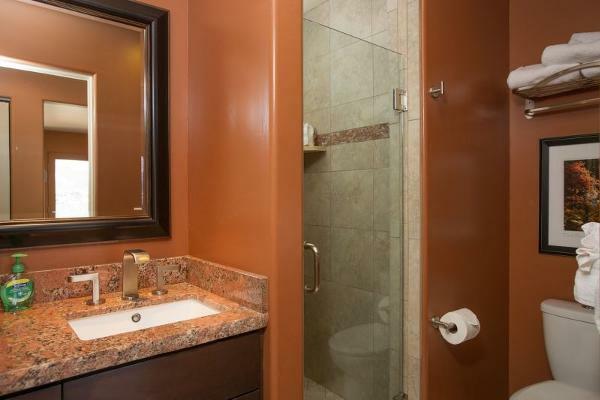 The master king suite is in browns and turquoise and offers an in-suite bath with glass-enclosed shower. 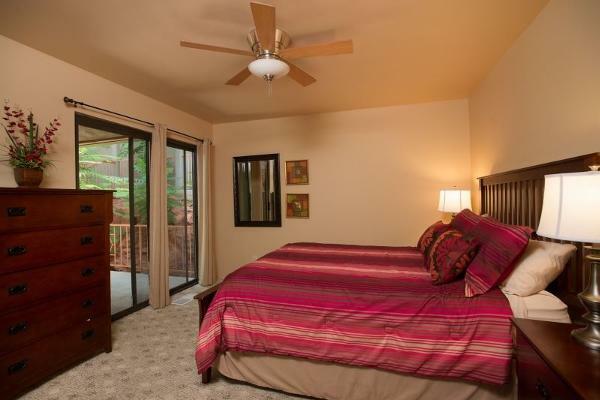 The second bedroom offers a queen bed in reds and golds. 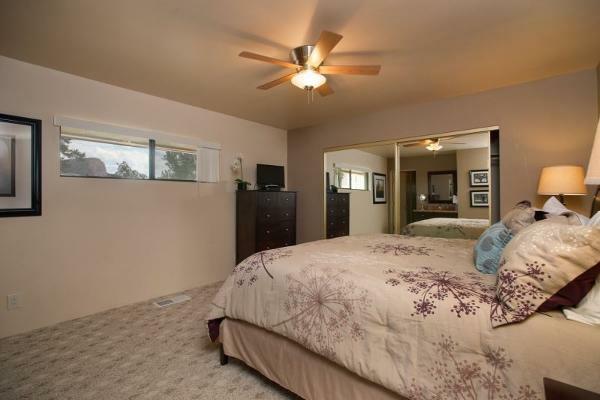 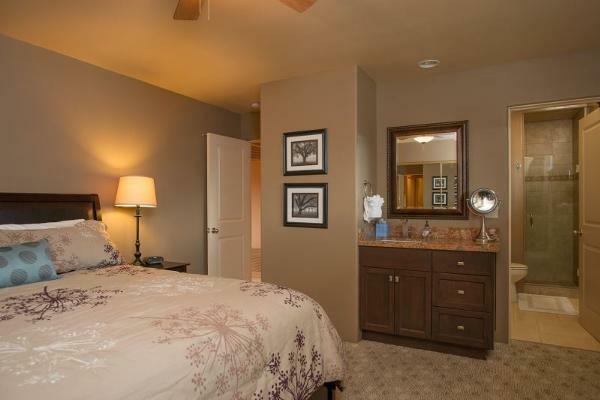 This bedroom shares the hallway bath, which also has a glass-enclosed shower and granite counter tops. 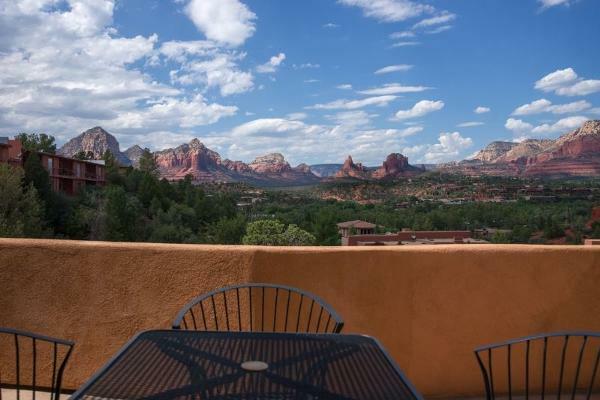 The deck is furnished and offers fantastic views. 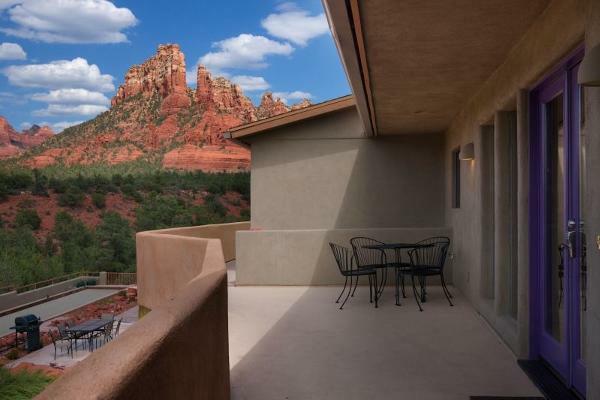 It overlooks the lower patios, bocce court, fire pit and water features.